Are the Old Testament / Tanakh Scriptures reliable? The (Tanakh – Jewish Bible) Old Testament is a collection of religious writings by ancient Israelites. It is located in the first portion of the Christian Scriptures. It is formed by the Torah (first five books), the prophets and the psalms. About the 5th century BC the Jewish people saw the Torah (the Bible) as representing the authoritative of Elohim; by the 2nd century BC, the Prophets and Psalms had a similar status. The first five books (the Pentateuch): Genesis, Exodus, Leviticus, Numbers, and Deuteronomy form what is called “the Torah”; narrating the events of the Creation, the Fall, the Flood, Abraham, Isaac, Jacob, Joseph, and Moses. From Exodus to Deuteronomy shows the unique relationship between Elohim (God) and his chosen people, Israel. 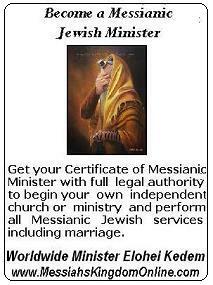 It is a biblical contract between YHWH and man with The Law of Moses in the books of Exodus and Deuteronomy as the bylaws. It includes the history of the Israelites from the death of Joseph to the erection of the Tabernacle by Moses, and the chosen people in the wilderness of Sinai until their arrival in the promised land. The next books from Joshua to Malachi tells of the conquest of Canaan and the division of the land among the twelve tribes of Israel, Samson, Ruth, Samuel the great prophet-judge, the reigns of Saul, David and Solomon (and the Temple of the Almighty), the nation’s decline and fall, the double captivity of Israel under the Assyrians and Judah under the Chaldeans, the return of the Jews from their captivity in Babylon, the rebuilding of the Temple, Isaiah and the prophecies of Christ’s coming , Jeremiah, Ezekiel, the four visions of Daniel, Joel with the coming of the day of the Lord, Jonah swallowed by a great fish sent by Elohim, Zephaniah and the nation preparing for its salvation and Malachi tells of the coming day of the Lord and a prophecy of John the Baptist. Also, there are the poetic and “Wisdom” books: Psalms, Proverbs, and Ecclesiastes that express the feelings of the people through their religious experience. 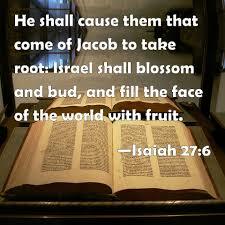 In Luke 24:44 Yeshua (Jesus) confirmed how the Tanakh was divided: the Law (Torah), the Prophets and the Psalms. The Protestant Old Testament has 39 books, the Jewish Bible has the same amount but contained in 24 books. Only the Catholic and Orthodox Old Testaments differs since it contains also the Biblical Apocrypha (books no considerate biblical by Jewish and Protestant scholars because they were written in Greek, no Hebrew): 1 and 2 Esdras, Tobit, Judith, Rest of Esther, Esther, Wisdom, Sirach, Baruch, Jeremy, Song of the Three Children, Story of Susanna,The Idol Bel and the Dragon, Prayer of Manasses, 1 Maccabees and 2 Maccabees. We do not have today any of the original Old Testament Manuscripts of the books that have been included in the Bible. All we have is copies of copies. 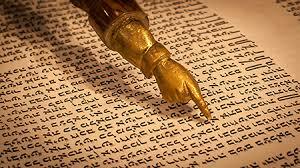 The Old Testament scripture that has come to us was written in four languages: Greek, Latin, Aramaic, and Hebrew. These early Greek translation commissioned during Ptolemy Philadelphus reign (285-246 B.C.) in Alexandria between 200 BC and 1 BC were called the Septuagint (Latin for “Seventy”) from the supposed 70 translators involved (the Septuagint is known by the letters LXX, the Roman numerals for seventy. ),includes some of the Biblical Apocrypha. This translation was used because Koine Greek was supplanting Hebrew as the language of the Jewish people in the Hellenistic Period and by the growing number of new Gentile converts to Christianity. The Septuagint bears the distinction of having been the version used most often by the apostles and the church fathers. “…the writers of the New Testament seem often to differ from those of the Old, because they appear uniformly to quote from some copy of the Septuagint version; and most of their quotations agree verbally, and often even literally, with one or other of the copies of that version which subsist to the present day.” Clarke’s Commentaries, The New Testament, Volume 5A, page 48. In 331, Constantine I commissioned Eusebius, to make Bibles for the Church of Constantinople. 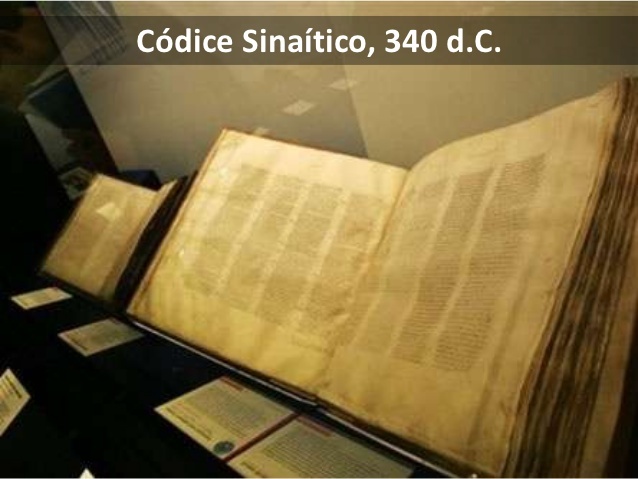 Of these Bibles we have in existence the Codex Vaticanus (fourth century, an Alexandrian text-type manuscript, residing in Rome) and Codex Sinaiticus (fourth century, an Alexandrian text-type manuscript, residing in the British Library). 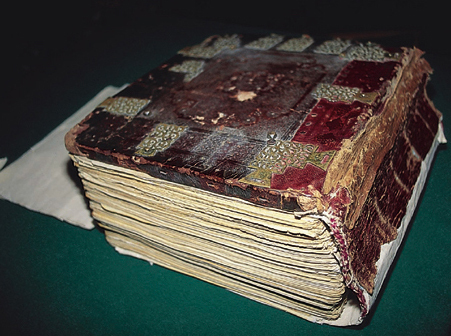 These are the earliest extant Christian Bibles. About 400 AD. Latin had displaced Greek as the common language, and Pope Damasus I commissioned Jerome, the scholar of the day, to produce an updated Latin bible (Vulgata Bible) to replace the Old Latin Bible. Vetus Latina (also called Old Latin Bible) is a name given to the Biblical texts in Latin translated before St Jerome’s work (382-405 AD) considered the standard Bible for Latin-speaking Western Christians. 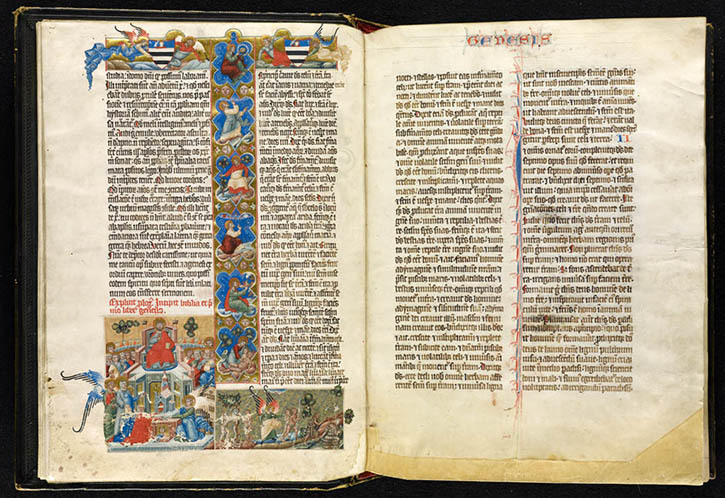 Jerome’s Vulgata became the standard Bible used in the Western Church, while the Eastern Churches use the Septuagint. He used the Jewish Canon (Hebrew Bible) of 24 books instead of the Greek Old Testament as the basis for his translation. Jerome wanted to keep all the books that appear in the Hebrew Bible, but St Augustine went against this idea and won. But the Protestant reformers (16th Century) sided with Jerome, the bibles of the Protestant tradition have only those books that appear in the Hebrew Bible, in the order of the Greek Bible. Jews living in Palestine speak Aramaic, the language of Yeshua and the Apostles. It is the original language of large sections of the books of Daniel and Ezra, and of the Talmud. These scriptures in Aramaic are called the Aramaic Targums (translation). The majority of the manuscripts are held in European libraries (came from an area now in Syria, Iraq, and Turkey). There are only two manuscripts preserved from the Old Syriac version: the Curetonian Syriac (5th century) and the Sinaitic Syriac (2nd century). Both texts are incomplete containing only the Gospel portions. Both are of the Western text-type. The Peshitta (400 AD) is a Syriac (a dialect of Aramaic) translation for the Aramaic Christians. 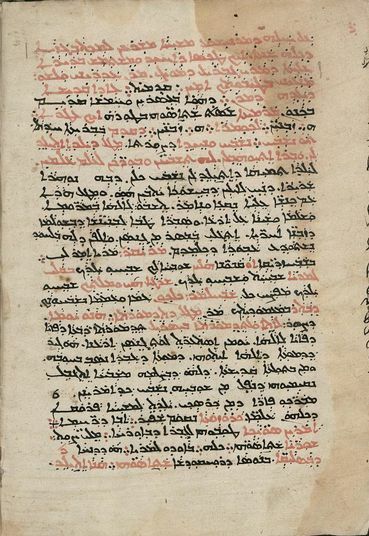 Is the oldest Syriac version survived in its entirety (More than 350 manuscripts). It contains the entire Old Testament, the apocryphal books and 22 books of the New Testament minus: John 7:53-8:11, 2-3 John, 2 Peter and Jude. Probably it was written in the city of Edessa (Turkey). It is an Eastern Byzantine text-type. All of these Syriac (Aramaic) texts offers interesting interpretations of Biblical verses like: In Matthew 6:12 in the Lord’s prayer the KJV says: “and forgive us our debts, as we forgive our debtors” but the Syriac implies: “and forgive us our debts, as we also have forgiven our debtors”; first forgive, before being forgiven. Or the reading in Matthew 19:25 instead of a camel to go through the eye of a needle, implies the use of a thick rope which is used to bind ships, more appropriate for fisherman. Online NT Translation by Dr. James Murdock. A Hebrew Bible manuscript is a handwritten copy of a portion of the text of the Hebrew Bible (Tanakh) in the Hebrew language. 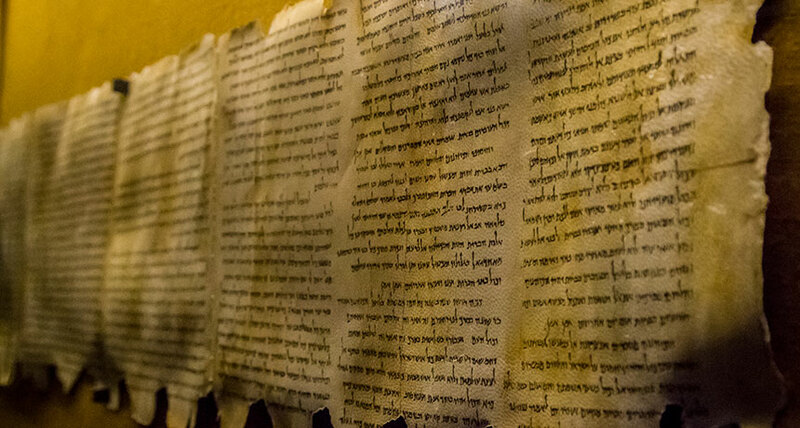 The oldest manuscripts were written in a form of a scroll (like in Yeshua’s time), the medieval manuscripts usually were written in a form of the codex. This manuscripts (codex) belongs to a group of Hebrew texts called the Masoretic texts written after the 9th century. 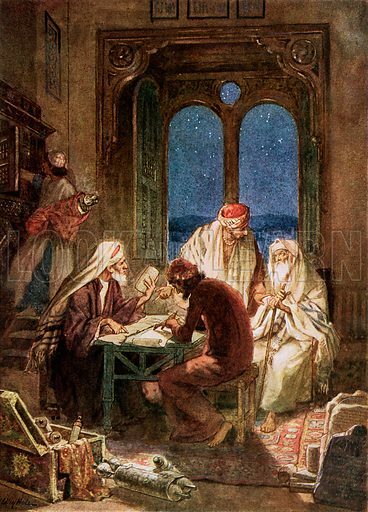 The most important manuscripts (Codex Leningradensis and Aleppo Codex) are associated with Aaron ben Asher (10th century, lived and worked in the city of Tiberias and died c.960) a Jewish scribe who refined the Tsystem of writing vowel sounds in Hebrew, still in use today. For over a thousand years ben Asher has been regarded by Jews as having produced the most accurate version of the Hebrew Scriptures. The Leningrad Codex, (or Codex Leningradensis, 930 AD, “codex” being an old word for “book”) is the oldest complete manuscript of the Bible in Hebrew. The Aleppo Codex, 930 AD, against which the Leningrad Codex was corrected, is several decades older, but parts of it are missing. The Hebrew text is reproduced in Biblia Hebraica (1937), Biblia Hebraica Stuttgartensia (1977)and The JPS Hebrew-English Tanakh 1917. See Online Leningrad Codex: Hebrew text and English translation of the Jewish Publication Society 1917 version (follow the Leningrad codex more faithfully) by the Westminster Hebrew Institute. The Dead Sea Scrolls, 200 BC to 70 AD, are a collection of 972 texts (235 of them biblical) discovered in 1946 at Qumran in the West Bank. They include the earliest known surviving manuscripts of works later included in the Hebrew Bible canon, along with extra-biblical manuscripts. They are dated between 408 BCE and 318 CE. They located in the Shrine of the Book in the Israel Museum. They verify the accuracy of the Jews’ copying process, they were almost identical to the later Masoretic texts, even when there are 1000 years between both. The biblical manuscripts found among the Dead Sea Scrolls, 2nd century BC, show that there were early manuscripts than the Codex Vaticanus and Codex Sinaiticus (both dating from the 4th century) written in Greek. But since we do not have them, we should use the earliest of them all Codex Sinaiticus (340 AD).